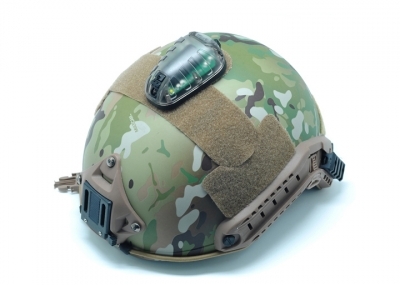 HEL-STAR 6 is the latest in a series of purpose-built lights designed specifically for helmet-mounting for airborne, MFF, and ground operations. 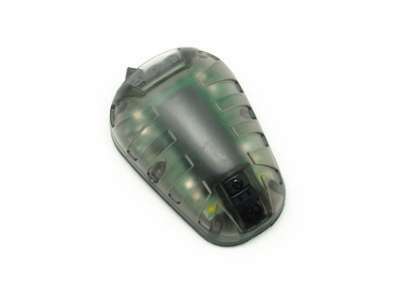 HEL-STAR 6 combines features of the earlier HEL-STAR 4® & HEL-STAR 5® models into a compact, one-piece design with enhanced visibility and easy battery replacement. 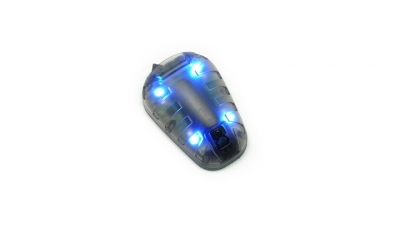 Up to four user-defined operating functions ranging in visible colors and IR signals - either flashing or steady. Detented sliding switches are designed for operation by a gloved-hand, in the blind, with the helmet donned. Powered by a standard lithium CR123 (Not Included) for long life and extreme temperature operation. Waterproof and dustproof.